Blackberry’s most innovative smartphone, BlackBerry Priv with Hex-core SoC, Android 5.1 Lollipop, 18-MP Camera, 5.4-inch QHD Dual-Edge display launched in India priced at Rs. 62,990. It slated to go on sale from Saturday through Amazon in Black colour option. BlackBerry Priv is already available in USA at $699 (Approx.Rs. 45,500), UK at 559 GBP (Approx. Rs. 55,700) and Canada at 899 CAD (Approx. Rs. 44,500) respectively from 6th Nov. 2015. It’s rivals are Samsung Galaxy 6 Edge and Upcoming Xiaomi Arch. The all new BlackBerry Priv Smartphone offers you a bigger 5.4-inch QHD (1440×2560 pixels) Display with Pixels per inch (PPI) 560 offers you superior 180 degree wide angle view perfect for watching movies, playing games and reading e-books. BlackBerry Priv runs Android 5.0 Lollipop OS and powered by the fastest 64-bit hexa-core , Snapdragon 808 SoC clocked at 1.8GHz with 3GB RAM, 32GB expandable up to 2TB perfect for multitasking and offers huge space for your data. 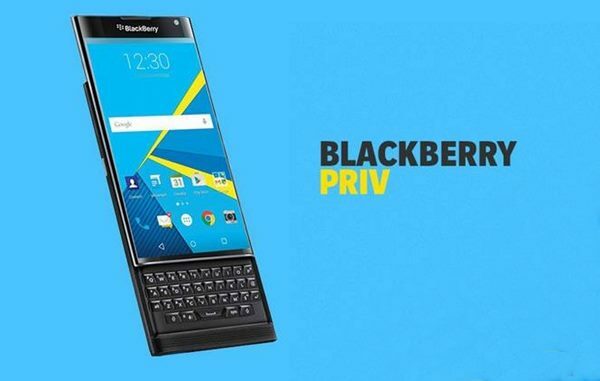 BlackBerry Priv sporting a huge 18-MP Rear Camera with Tripal LED flash perfect for low light photography and 5-MP front camera for selfie and video calling packed with a 3410mAh battery including Dual-SIM Support, 4G LTE, NFC, Wi-Fi, Bluetooth, Finger Print scanner and USB Type C measures 147.00 x 77.20 x 9.40 and weight is 190gm. At last I few honest , BlackBerry Priv is the best smartphone for multitasking. What you think? Please be open to give your view.